How to make someone faster in a sprint? 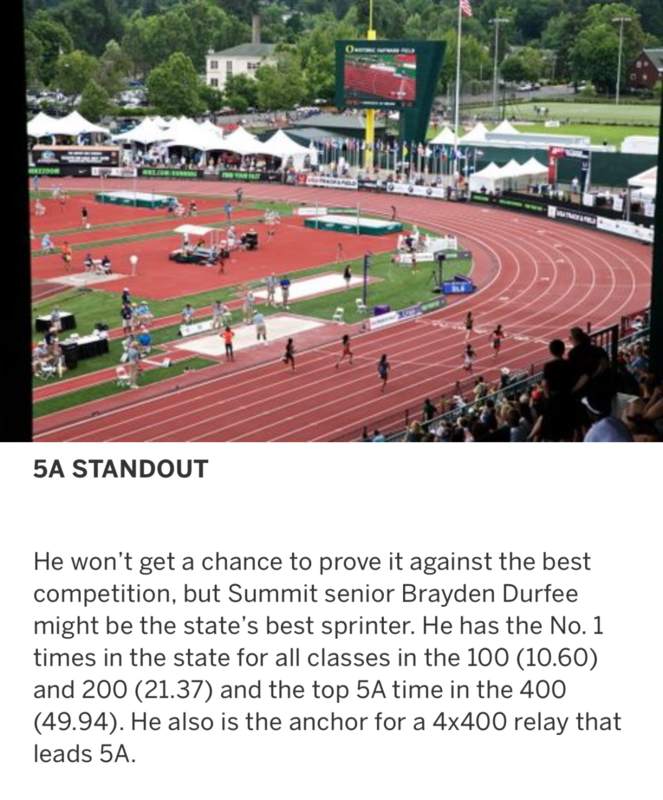 In our Sports Performance classes at Oregon CrossFit we have worked with high school sprinters on and off for a few years before having one to commit to allowing us to train him throughout his senior season - below are Brayden Durfee’s results and how training was organized. 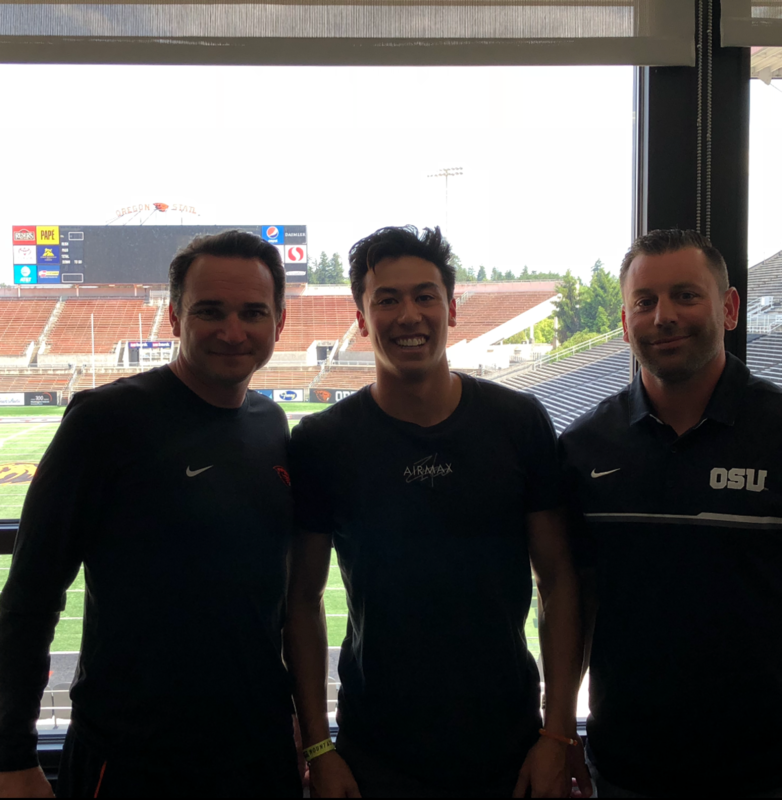 Brayden recently signed with Oregon State to play football - congratulations Brayden! 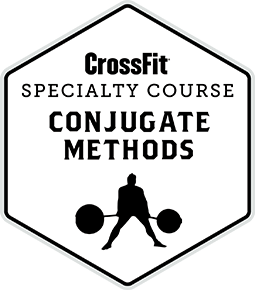 We utilized the conjugate system; the training protocol was learned from reading multiple books on the system(listed at the end of the article), visiting Westside Barbell in Columbus, Ohio and a week long visit to The Sweatt Shopp in Cincinnati, Ohio. Both of these gyms have worked with athletes in all sports, including sprinters and other explosive athletes(football,track, volleyball, baseball among others). The training was organized to have two “Max Effort” days each week and these will be explained in more detail below. We completed these efforts on Monday and Friday. Monday was max effort lower body, and Friday was max effort upper body. We completed two dynamic effort days on Tuesday for upper body and Thursday for lower body. 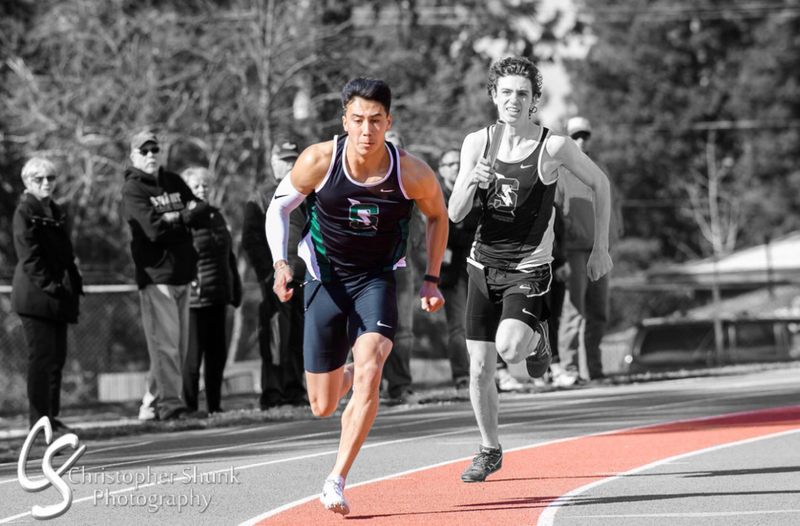 Wednesday was a restoration/recovery day or an opportunity to work on sport specific time areas in which a sprinter competes - for example a top 100m time in high school is 10-11 seconds so we used efforts inside of that time frame. On Monday which is max effort lower - we would work up to the heaviest possible weight on a single repetition of one of the following movements: squat to a box, a sumo deadlift, a rack pull, a partial squat to pins in the power rack or some other variations. We use the max effort method because it is the greatest strength method ever invented. Also when an athlete performs a sprint they are performing a max effort sprint! The forces generated while sprinting are over a 1000# for top level sprinters, so training using heavy weights produces a stronger/faster athlete. The squats or pulls were completed with accommodating resistance implements(bands, chains or a combination of both). After the max effort lift, we would do assistance exercises specifically targeting weaknesses in sprints - hamstrings, calves, glutes and low back. Lots of reverse hyper, inverse leg curls, standing hamstring curls, lying hamstring curls, and back extensions were used among others. Additionally, either before or after the max effort work we completed 40 box jumps at various heights and weights. 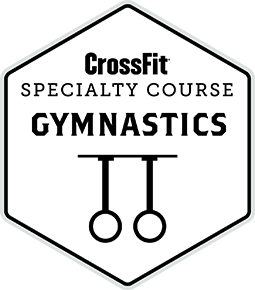 Tuesday we perform dynamic effort upper body work. A typical day would have us doing 9 sets of 3 reps using 50% of the athletes one rep bench press and using 25% accommodating resistance. The accommodating resistance was applied using bands or chains. The work was done as fast as possible, rotating grips between each set from close, medium and wide hand placements. After, we would do a multiple rep max with db’s maybe 10 rep dumbbell bench press, or a 20 rep dumbbell floor press. After these were done we would target upper body weak areas, such as the upper back, mid back, and triceps. The volume was super high on this day and the pace was kept high. On Wednesday we worked restoration type activities - including dragging a weighted sled hooked from a belt around the athletes waist. We also did walks on the athletic training platform. Also on Wednesday we would do certain specific exercises to duplicate the times associated with the sprinting events - such as running on a self powered treadmill(TRUFORM) for 12 seconds/25 seconds/55 seconds intervals. These times were slightly longer than the times the athlete had on a 100m, 200m and 400m sprints. Also we did lots of timed work on the reverse hyper, or inverse curl, going for those time domains that would be needed during the sprints. On Thursday, we used dynamic effort lower body work. On a typical lower body day we would squat to a box for 5 sets and 5 reps, with a minute or less of rest between sets. The bar would either have band tension or chains hung from it and we do did our squats at 75-80-85% of our one rep max(combination of band tension and or chain). As soon as the squats were done we would go and pull sumo deadlift with band tension or chain for 8 sets and 3 reps. The rest for the deadlifts was between :30 and 1:00. The deadlifts were almost always done with a sumo stance and used 80% of the 1 rep max sumo deadlift. After the deadlifts we would do 40 weighted box jumps again varying stance, weights, heights. Finally, we would finish the day with lots of standing abs, inverse curls, reverse hypers, standing hamstring curls and walks on the ATP. Friday, was our max effort upper body day. We would have max out a bench press, bench press variation, standing press, or a dumbbell variation. About half of the time we would use accommodating resistance on the barbell work. The other half of the time we would either do partials to a pin or board. After max effort upper body work was completed we would do lots of upper back and tricep work. The work we were doing was trying to put “muscle” where he needed it. If we look at high level college, and professional track athletes most of them are “jacked” and they are our “model” to try replicate. On Saturdays, when there were no races, we drag more sled and do more work for the low back and hamstrings. On race days we still worked out - just utilizing different methods. This type was done in season and out of season and produced superior results than previously Brayden has experienced. Where are the power cleans? We did 0 power cleans in Brayden’s daily/weekly training. Why did you not program power cleans? 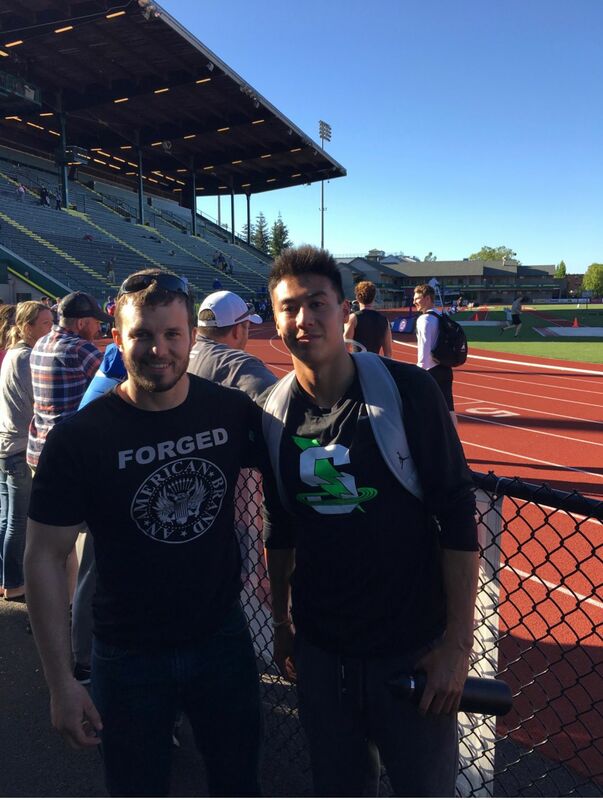 The reason we did not program power cleans in Brayden’s training is that between the jumps we did (at least 80 a week) and the dynamic effort sumo deadlifts, there was no reason to do the power cleans. When we look at the daily life of a high school kid they spend a ton of time in a seated position. When kids who are seated a lot power clean they end up catching in a compromised position. Plus, coaching a power clean takes time- the overwhelming issues with kids coming into the facility is that they aren’t strong and they don't have a lot of time to train - we can teach a deadlift faster and get them lifting more weight with a deadlift faster - thus producing faster results with no injuries. What running did you do? We programmed 0 running for Brayden (outside of the self-propelled treadmill). We dragged sled, either as a warm up or as a workout(Wednesday and Saturday) but we didn’t run him. Brayden has coaches to work on his running technique with him. We focused on what we know - how to increase strength and in turn run faster. Running a kid day in and day out makes a kid tired, it doesn’t make them faster. Doing speed ladders is a demonstration of what they already have, not a builder of what they don’t have. What did you suggest for warm ups on race day? We suggested that Brayden cut his warm ups significantly down - he tried it and ran faster times. We suggested a third of what he was previously doing for warm up. The warm up activities we had him do were banded good mornings, banded hamstring curls, glute ham bridges banded and then a few starts out of blocks, over strides and then go run the race. Why did you train on race day and before race day? The training was modified before big races to ensure Brayden wasn’t sore. The day of big races we utilized isometrics to “excite his central nervous system” and the isometrics seemed to work as Brayden reported feeling “faster” and then ran faster.